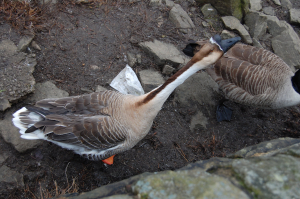 Observation - Chinese goose - UK and Ireland. Description: Black lump on the top of its head,Dangly bit below its throat. Black lump on the top of its head,Dangly bit below its throat.